Modest computing resources (4 core or more CPU, 16 GB RAM, Windows 10 OS) required to support the application. 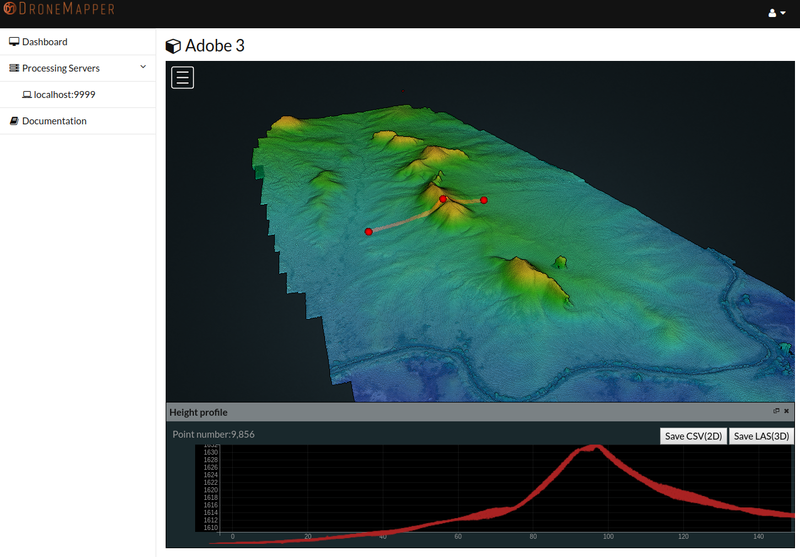 DroneMapper also provides end-to-end support including: mission planning and execution, camera set up, control placement and generation of application specific products (contours, volumetrics, planimetrics, DTMs, etc.) using GIS software (Global Mapper). Let us know how the DroneMapper team can help. 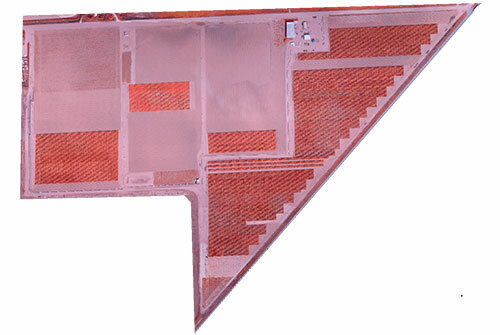 DroneMapper Cloud is an API for photogrammetric processing of aerial images. The API allows a developer to programatically interact with our Drone Mapping algorithms to generate georeferenced Digital Elevation Models, Orthomosaic Maps and Point Clouds with or without Ground Control Points (GCP). After 7 years, we’ve retired our original web based cloud processing system and API — this is the new generation of that API. It combines our latest algorithm developments and processing experience into an enterprise focused cloud product. The API has an extensive processing dashboard and web based user interface. The UI allows an operator to upload imagery, download processed products, view results in 2D or 3D, make map based GIS measurements (Area, Distance, Slope, Volume) and more. 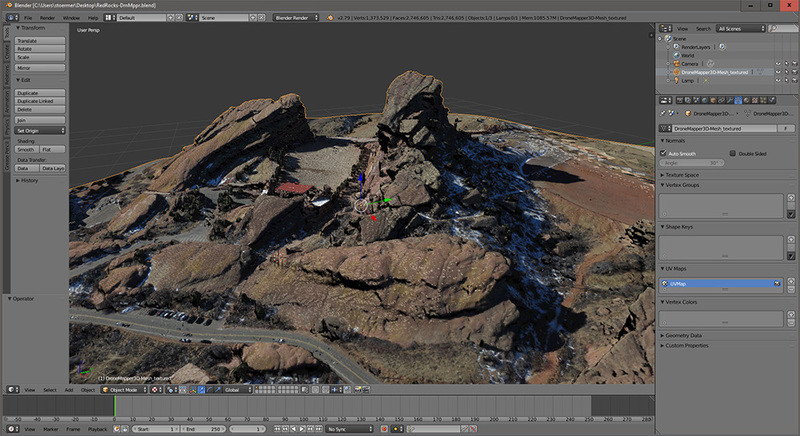 We’ve updated our sample page to include a Blender project with the high resolution Red Rocks virtual reality scene. We’ve also added a download link to the .OBJ, .MTL and .PLY files for import into Unity3D or other 3D rendering software. 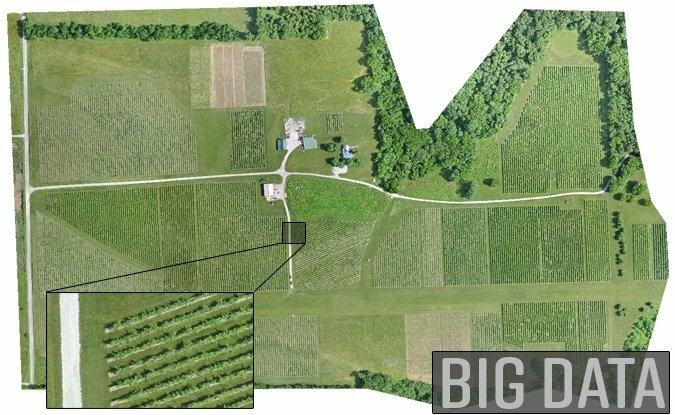 Creating real world scenes in VR quickly from drone imagery is possible using an oblique collection and our processing software. The image above shows a 3D Textured Mesh Point Cloud converted to .OBJ format displayed in Blender. The .OBJ has an associated .MTL and .JPG file to provide the texture and material mapping. 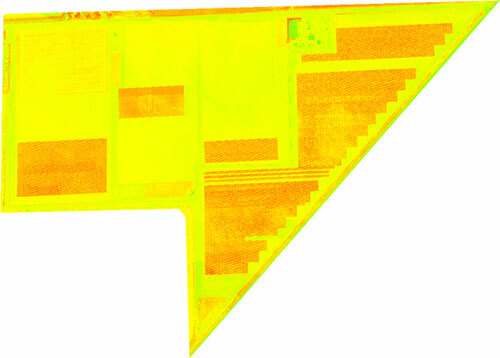 Here we show a set of illustrations for a crop seed research field imaged with a modified near infra-red sensor. The first image shows the scene in the infra-red and the second shows the computed scene gNDVI. The research field was outfitted with a unique set of controls. Aerial targets on the ground provided calibrated spectral reflectance as well as precise geo-spatial position. These were used over the 17 week growing period (on a weekly basis) in order to produce a meaningful temporal history of the research crop maturation. The third image shows the automated binning of the plot average vegetation indice with color highlighting high indice (green) to low (red). 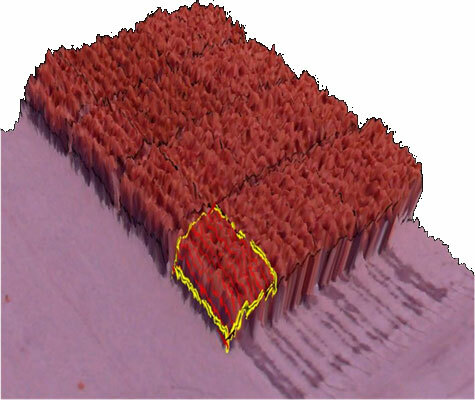 The fourth image shows the 3D model of one plot prior to harvest where average crop height was computed and an estimate of biomass volume obtained. 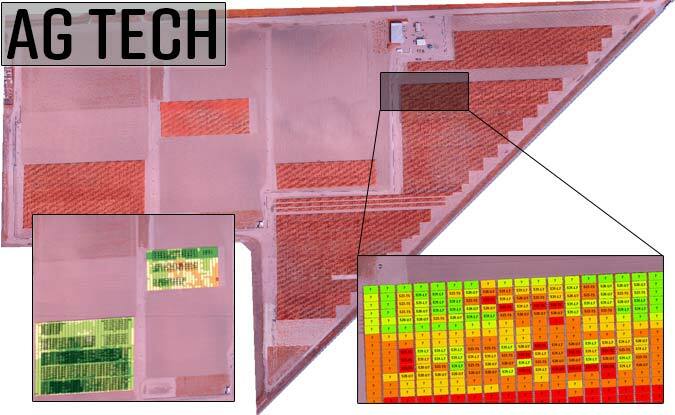 We believe the key in using spectral imaging effectively in precision agriculture is the correlation with what the agronomists are seeing on the ground. So, high correlation coefficients are mandatory. 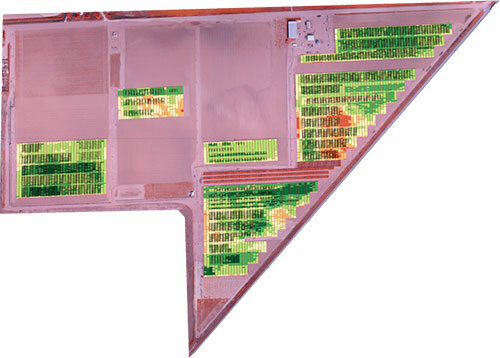 DroneMapper can help you sort through what works for precision AG imaging. Give us a call!